What is a video producer? Producers are among the first credited in video projects, though you never see them on stage collecting awards or making headlines. And for all the producers out there, that’s probably a good thing, since much of the producer’s duties are carried out behind-the-scenes. By definition, the producer is tasked with coordinating and managing the entire video production process from pre-production to the delivery of the final video. The producer’s role varies whether it’s staffing a production crew, setting a budget, writing scripts, leading communication, aiding in creative direction, or guiding the editing process. Video producers are needed on every video project whether it’s live event video coverage, corporate video, marketing video, or feature film. In our scope as a boutique production company, our video producers are intimately involved in every aspect of each project. 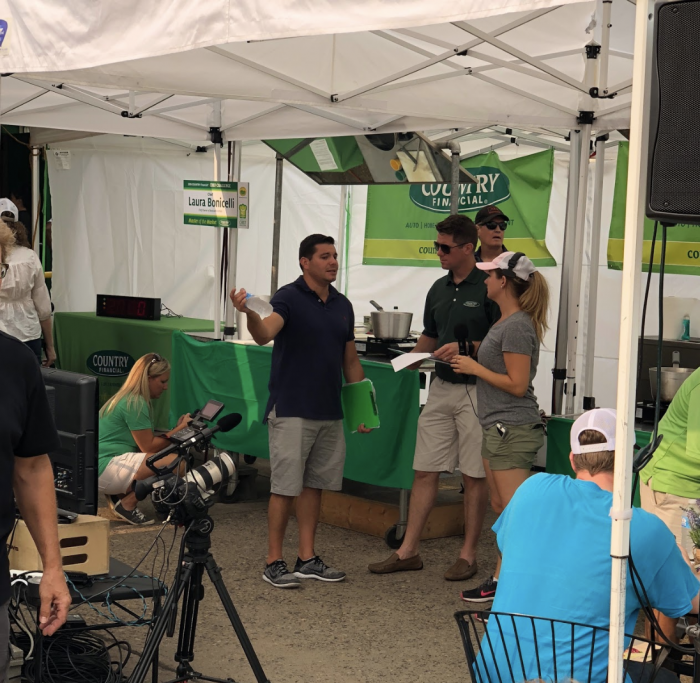 If we’re working on a testimonial video, or event coverage, or a marketing video, the odds are likely that our producers will be personally connected with everyone from the production assistant to the creative agency. A lot of good producing is collaboration. It’s having a big network, maybe a network of people with niche skills so you have people to call on in every scenario. For our business, its having a network of talented people at varying price points and industries so we can scale up or down to any project and have the right people with prior experience to call upon no matter what industry were tasked with creating content for. Good video producers and great video producers alike can end up with an excellent film, show, or video when the final cut is turned in. So if it’s not always the final product that sets them apart, what is it that makes a good video producer, great? It’s to be seen in the process. Let us break it down for you. A good producer is like a baseball manager. They select their lineup, call the big shots, delegate tasks to other coaches and captains, and when the game is under way, they sit back until it’s time to scream at the ump. This laissez faire style works for a lot of good producers as well. They have a certain confidence in their team members and thrive when it’s time for the big decisions to be made. A great producer will have more involvement on their video projects, however. Video productions are often unpredictable and require a steady hand guiding them in a smooth direction. Great producers have an omniscient presence on a project. Knowing not only who is doing what, but making sure that the director, camera operators, audio operator, grips and gaffers know what is expected of them. A great video producer is involved every step of the way. Deadlines are serious business in any profession. In corporate video production, they’re a crucial part of the project in which every subsequent process relies upon the previous one. Voiceovers can’t be done without scripts, just as edits can’t take place without footage. Making sure deadlines are met promptly falls on the producer’s shoulders. Even if scripts and edits aren’t the producer’s direct task, their communication with those whose it is remains a prominent factor in meeting those deadlines. A good video producer is the communicative link between the client and the production team. They have a handle of the production schedule and meet the dates expected of them. A great video producer has a knowledge not only of the project, but of the individual tasks. For example, in post-production, they are constantly in touch with editors, aware of where they are at and what is expected of them. All the while, the producer is cognizant of the deadline at hand. Good video producers meet deadlines. Great video producers work with and motivate their team to meet or exceed deadlines. A good part of the producer’s game is defensive, so anticipating potential obstacles in order to meet deadlines is paramount to a great video producer’s job. We can’t stress enough how important organization is in corporate video production. Working on tight schedules, with loads of equipment and shifting parts is something we’re used to. Staying organized throughout it all is a major key to a successful video production. A good video producer is organized. They’re making schedules, sending emails, and generally ensuring that everything is in order from top down: from forms, to location times, to parking and freight elevator information, all the way to invoices being paid by their due dates. 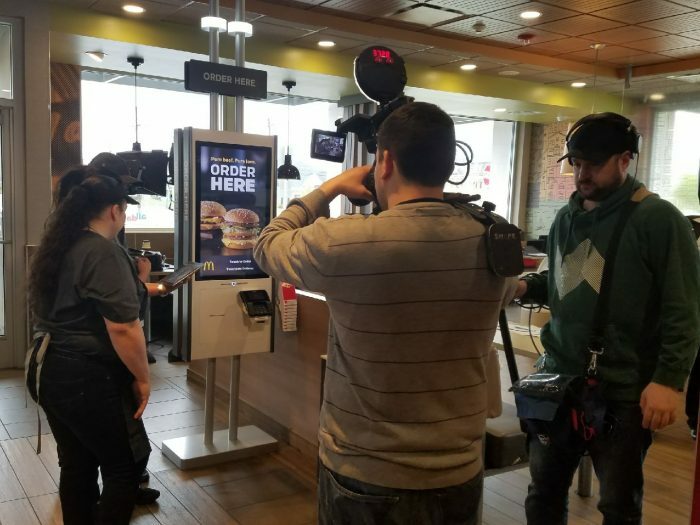 An organized video producer maintains an organized crew, who are keenly aware of all the gear needed, shots required, and date, location, and call time of the shoot. When it comes to great video producers, anticipation is the trait that sets them apart. Anyone can adhere to basic schedule and make the specified call time. A great video producer’s intuitive instinct comes from experience. Seeing what’s worked and what hasn’t on previous shoots. A great producer doesn’t wait ‘til shoot day to get things in order, no matter how experienced they may be. A great producer is always five steps ahead because they know that there will always be something unexpected that comes up. If you’re not ahead of the game, you’re behind. What can possibly go wrong on a production? A lot. It’s the producer’s responsibility to mitigate risk and anticipate the unknown. One thing we’ve leaned through production is that anything that can be fathomed, can be delivered. We never thought we would’ve needed to provide a costumed meatball or concoct slime , but it happens! Good video producers supply what is asked of them, but great video producers bring visions to life. Working with content companies like Barstool Sports has taught us how to think on our feet, while being prepared to tackle anything thrown our way. We’ve had some pretty far out requests. From circus performers for a carnival to nudists for a marketing video to an entire game show set, a great video producer is willing to go the extra mile to make a client’s vision come to life. Other requests we’ve received have included finding a state-of-the-art kitchen for a Thermador social media campaign and sourcing a go-kart track in the heart of Chicago. Whatever it takes to make those ideas come to life, a great producer is willing to go there. Video production is not a static industry. Technologies and methods are ever-changing, and to grow complacent as a video producer would be about the worst thing you could do. Good video producers keep up-to-date with technology, and are always learning new programs and making sure they’re staff is properly-educated on it. For example, we’ve seen the industry standard in editing software shift from FinalCut to Adobe Premiere in the last 5 years. A good producer would be on the cusp of this movement and always reading up on similar transitions. 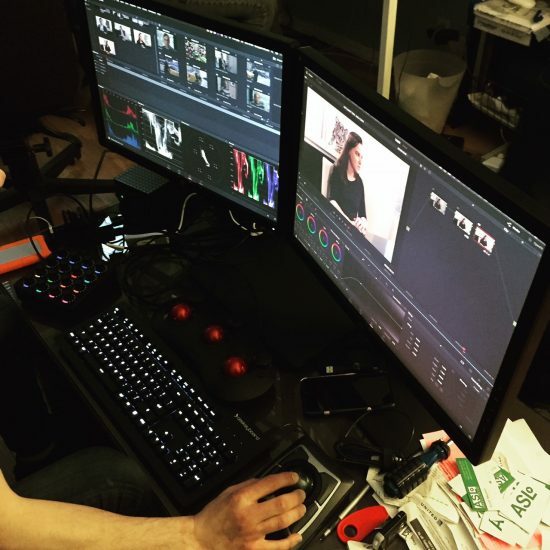 A great video producer’s voracious appetite for learning carries them to another level. There truly is no such thing as being an absolute expert on the production process. New things can be learned at all times, and the best of producers are questioning, reading, researching whatever it may be to set them ahead of the pack. As we mentioned earlier, a great video producer possesses an omniscient quality that spreads to all members of the production team. If you have a producer actively engaging with the different parts of the process and understanding the mechanics behind it all, you’re more likely to experience a more productive and fluid production. Though some corporate videos may last just 2 or 3 minutes, productions aren’t always quick. We’ve worked on projects that have spanned an entire calendar year, while other projects were conceived merely a week before shooting. Some things about video production can be learned. Others cannot. Being flexible and patient, while having the stamina to power through long projects with the same passion throughout, are inextricable traits needed of a great video producer. A great video producer is willing to find a client an audio op in a matter of hours, or a great production crew in a remote city so the client doesn’t have to worry about it on their end. At the end of the day, great producers do what it takes to make sure everything is in order and prepared. If that stamina’s there, they’ll be ready to take on the next project with the same zeal as the previous one. Essentially, as a manager of a throng of moving pieces, video producers must have the ability to work with a whole batch of personalities and egos. Knowing how to navigate this kind of environment is something that comes through experience. Finding a great video producer that will go the extra mile in coordinating a tight, efficient project is rare, but when you do, you’ll know the difference.